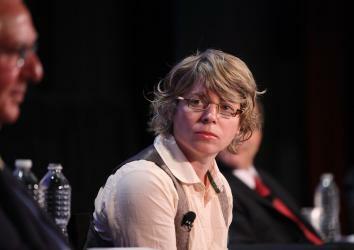 Clayton Christensen, Jill Lepore agree disruptive innovation has become a cliche. 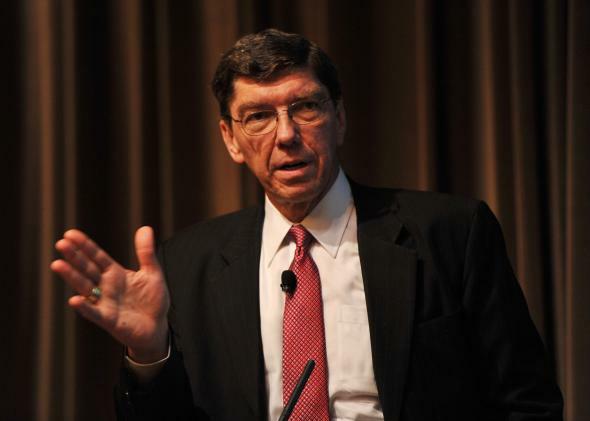 Clayton Christensen and Jill Lepore agree on more than they’d like to admit. Clayton Christensen, the Harvard professor who coined the concept of disruptive innovation, and Jill Lepore, the Harvard professor who fears and loathes it, do not agree on much. If that weren’t clear enough from Lepore’s big New Yorker piece on “the gospel of disruption,” it’s abundantly so from Christensen’s response in an interview with Businessweek’s Drake Bennett. Slipping into the third person for some reason, Christensen expresses outrage that Lepore would “try to discredit Clay Christensen, in a really mean way.” Mean is fine, he clarifies, “but in order to discredit me, Jill had to break all of the rules of scholarship that she accused me of breaking—in just egregious ways, truly egregious ways.” He goes on to call Lepore’s piece “a criminal act of dishonesty—at Harvard, of all places.” Of all places! Do the integrated steel companies like U.S. Steel make rail for the railroads? No. Do they make rod and angle iron, Jill? No. Do they make structural steel I-beams and H-beams that you use to make the massive skyscrapers downtown, does U.S. Steel make those beams? Come on, Jill, tell me! No! The effect is a little like that of Clint Eastwood browbeating an empty chair. Jill Lepore is right that disruption has become a buzzword. Tempting as it always is to take sides, anyone who insists that either (a) Lepore is right and disruptive innovation explains nothing, or (b) Christensen is right and disruptive innovation explains everything, is both misguided and misinformed. That’s not what either of them thinks, no matter what they might say in the heat of public argument. So where do we go from here? New York magazine’s Kevin Roose argues that the word “disrupt” has been flogged beyond salvation and ought to be put out of its misery, even though he acknowledges the concept has merit when deployed as originally intended. I’d like to think he’s wrong—that the whole dustup could have the effect of prodding people to think more carefully about Christensen’s theory before spouting the relevant buzzwords. But maybe that’s naïve. Maybe the only way to fight a buzzword is with an all-out backlash. Whatever comes of the term “disruption,” I hope certain intelligent people’s distaste for cliche won’t blind them to the sort of upheavals that Christensen used it to describe. That could lead to complacency on the part of some high-end incumbent firms and institutions—including those in the societally important realms of journalism and higher education—at the time when they can least afford it. *Update, June 23, 2014: A helpful reader has pointed out that beer might be a poor choice of beverage for this particular summit, since Christensen is an active Mormon and does not drink. That said, one can still hold a beer summit without all of the participants imbibing. At the original beer summit, for example, Vice President Joe Biden opted for a non-alcoholic Buckler’s. Vox: Disruption Is a Dumb Buzzword. It’s Also an Important Concept.